Do you have expenses that can’t wait until payday? It’s impossible to budget for unexpected expenses and they seem to arise at the most inconvenient times. If you are living in the Auckland area, Cashburst could be a quick solution to your cash shortage. Apply for a cash loan to help you through. 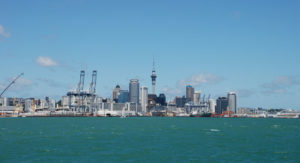 Auckland cash loans are a great solution to help bridge any financial gap. They can be used for costly expenses such as car repairs or medical bills. If you’re experiencing a financial emergency, you need a fast cash loan. That’s why we have made our Auckland cash loan process as quick and easy as possible. Everything can be done online – complete our quick application on our website and send the required documents via email or fax. We will get back to you quickly with a decision and if you are approved, you could receive the money in your bank as an overnight deposit or within 30 minutes* if you choose our fast payment option. * The 30 minutes fast payment option is only available on our ‘On The Go’ loans. Conditions and a small fee apply to this option if selected. Why choose Cashburst for Auckland cash loans? Cashburst is one of Auckland’s most trusted and reputable lenders. We are committed to responsible lending and ensure that our loans are affordable for you with no hidden costs. Everyone in Auckland has individual needs; that is why we offer flexible repayments. If you want to repay your loan quicker you will not be charged any early repayment fees. If you think you might not able to make a payment, contact us immediately, we are here to help. If you live in Auckland and are struggling to get a cash loan due to your credit history, Cashburst may be able to help. Many lenders do not lend to those with bad credit, this can make the process extremely difficult. At Cashburst we assess your current ability to repay the loan and as long as you are not bankrupt and meet our below eligibility criteria we could still be able to provide you with a bad credit cash loan. Whether you are in; Auckland CBD, Avondale, Blockhouse Bay, Balmoral, Eden Terrace, Ellerslie, Epsom, Freemans Bay, Glen Innes, Grafton, Greenlane, Grey Lynn, Herne Bay, Hillsborough, Kingsland, Meadowbank, Mission Bay, Mount Albert, Mount Eden, Mount Roskill, Mount Wellington, Newmarket, Onehunga, One Tree Hill, Orakei, Panmure, Parnell, Remuera, Royal Oak, Saint Heliers, Waterview, North Shore, Albany, Bayswater, Bayview, Birkenhead, Browns Bay, Campbells Bay, Castor Bay, Coatesville, Devonport, Fairview, Forrest Hill, Glenfield, Long Bay, Marlborough, Meadowood, Milford, Murrays Bay, Northcote, Rosedale, Takapuna, Wairau Valley, Unsworth Heights, South Auckland, East Auckland, East Tamaki, Flat Bush, Howick, Manukau City, Mangere, Pakuranga, Papatoetoe, West Auckland, Glen Eden, Glendene, Green Bay, Henderson, Hobsonville, Massey, New Lynn, Sunnyvale, Swanson, Te Atatu, Titirangi, Papakura, Rodney or any other Auckland suburbs, we could process your quick cash loan.